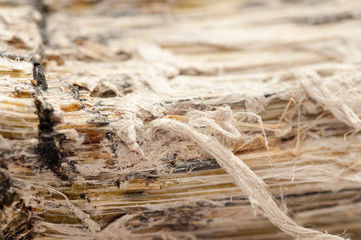 Under the Trump administration, the EPA issued a significant new use rule (SNUR) which opens the door to allowing old uses of asbestos to return to commerce. Given the scientific community’s consensus that no amount of use of asbestos is safe, allowing these old deadly uses to resume will surely mean more lives lost. And the sad reality is that if imports of the toxin are not banned, manufacturers will continue to use it. What’s even more frightening is that we don’t have a clear picture of how much asbestos is entering the United States because manufacturers are not required to report this information to the EPA. In an effort to change this, a petition was recently submitted to the agency by the Asbestos Disease Awareness Organization and co-signed by Montana-based Women’s Voices for the Earth. The petition asks the EPA to use their new authority under TSCA to require importers of asbestos-containing materials to report the quantity of the toxin and the types of products it’s found in. Without this information, we have no idea who is importing the chemical or where it’s being used, making it very difficult to limit exposure or even assess the risk posed to workers, who are often disproportionately impacted, and the public. Of course, the end goal isn’t just to secure our right to know where it’s being used — it is to ban asbestos. The Alan Reinstein Ban Asbestos Now Act of 2017 (SB 2072) has been introduced in Congress that would give the EPA the authority to ban asbestos. U.S. Sen. Jon Tester is an original co-sponsor of the bill. U.S. Sen. Steve Daines has not signed on as a co-sponsor. The people of Libby are living out a horrible tragedy, and they deserve for it to mean something more. They deserve for it to result in a change that will protect others from enduring the same illness and loss. We cannot simply let the town be a cautionary tale of what happens when regulations don’t go far enough to protect public health, even when there is clear evidence of danger. We need to act. We need our leaders to act and finally ban the import and use of this insidious toxin.